Hi! 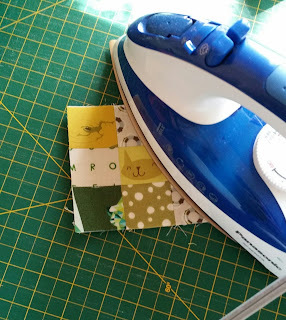 So my Modern Fabric Postcard Swap is now under way. 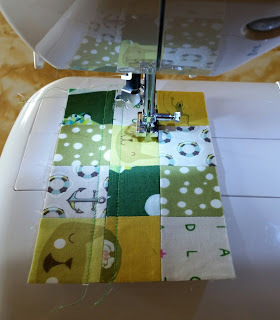 All swappers have been emailed and I have already seen some beautiful postcards under the hashtag #modernfabricpostcardswap. It's very exciting! They are very easy, and I absolutely love making them. I learned from the lovely and talented Saskatoon artist, Monika Kinner-Whelan. Monika is a thread painter and she makes the most beautiful pictures, most with a prairie theme. 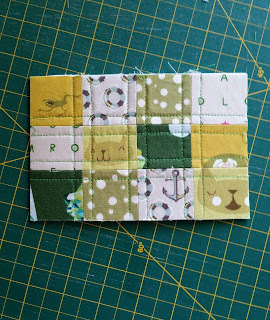 You can find her at http://mysweetprairie.blogspot.ca/, and you can find her tutorial for making postcards there as well. 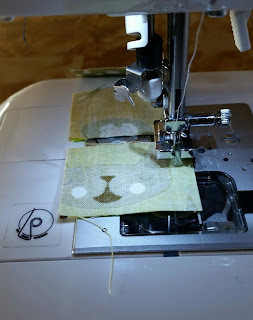 I thought I would give you a run-down on how I made mine, just for fun! 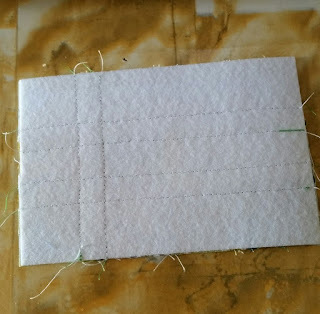 a piece of white or light fabric cut slightly larger than 4x6"
So let's get started. I cut out a bunch of green scraps to make a green patchwork postcard. 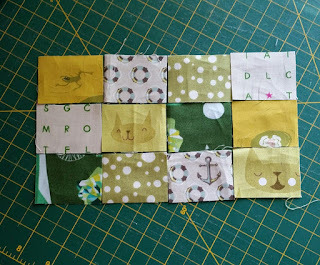 I then chain-pieced them together. Once I had them all sewn together, I squared up my postcard front, and then ironed it onto one side of the double-sided fusible stabilizer. I was horrified when I saw this photo after the fact. I NEVER iron on my cutting board!!! Don't do that. It's bad. I also forgot my parchment at home, so that's another bad. 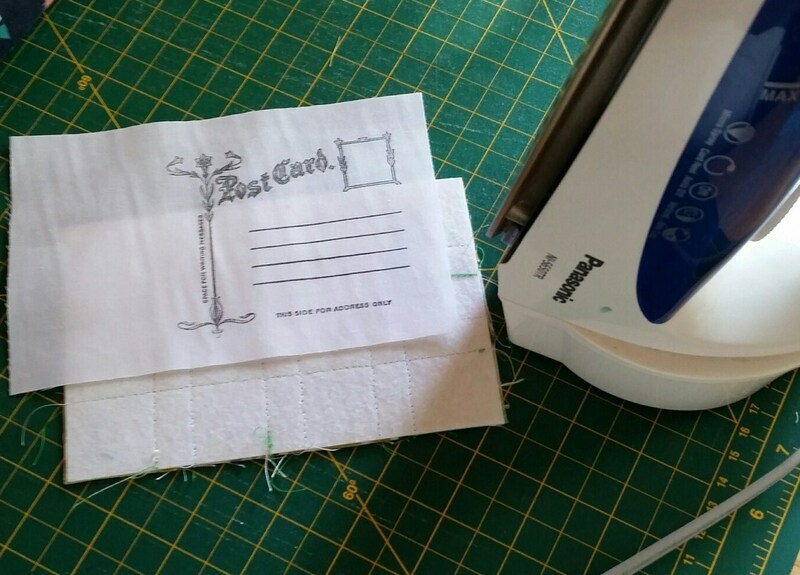 After the postcard front was on the stabilizer (never iron on your mat and always use parchment!!) I quilted the postcard front. 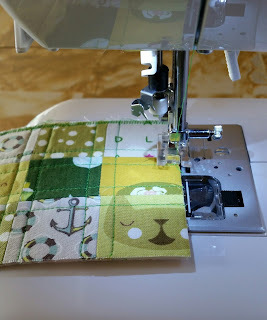 You may use whatever colour you like on the front, but make sure you use white or light thread in the bobbin, so the lines are less visible through the back fabric. Next I ironed the white fabric to the back. 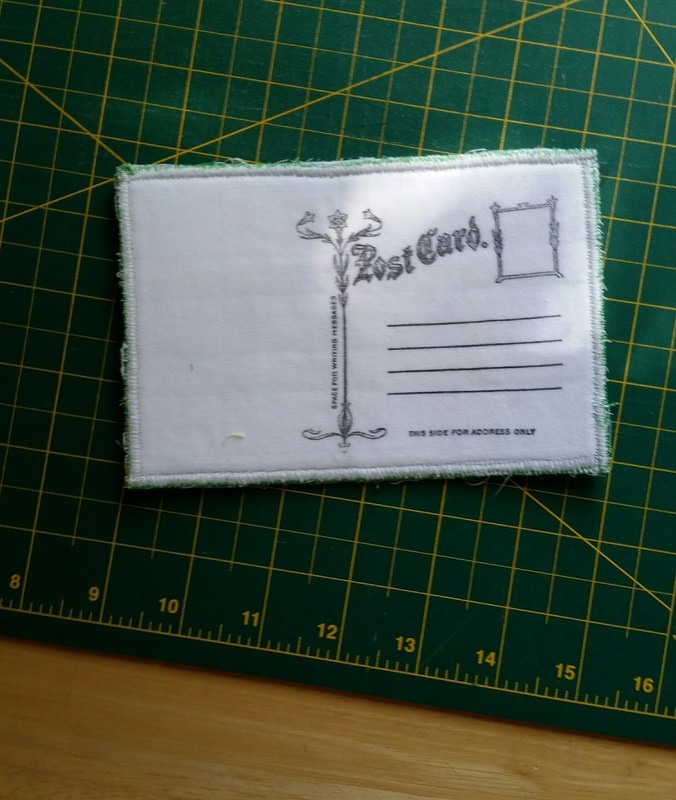 I bought fabric postcard kits from Monika, and she has this nifty stamp that she puts on the fabric for the back. I love how it looks. You can buy her kits from her Etsy store. 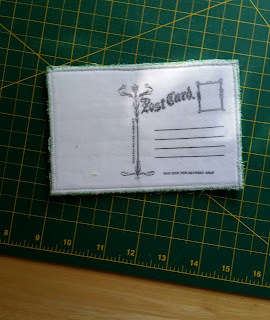 If you want to do this all on your own, you simply need to draw the vertical line in the middle of the back fabric, write POSTCARD on top, and add some address lines on the right. It works just as well. 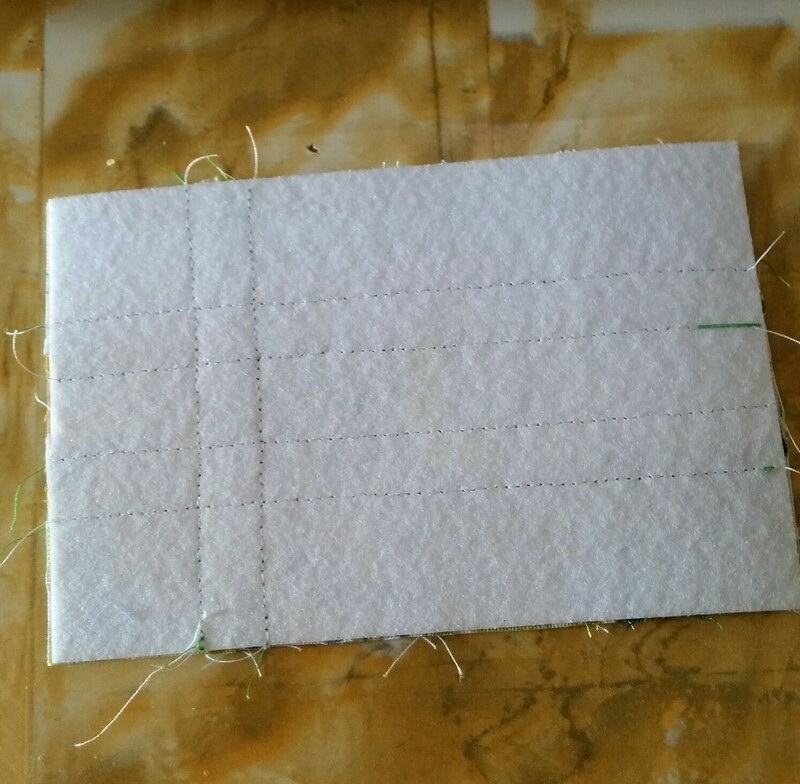 Once the back of the postcard is on, you can trim around the edges to square them up. Then zigzag or straight stitch all around the postcard. When I zigzag, I shorten the stitch width and length. I like it tight. And voila! 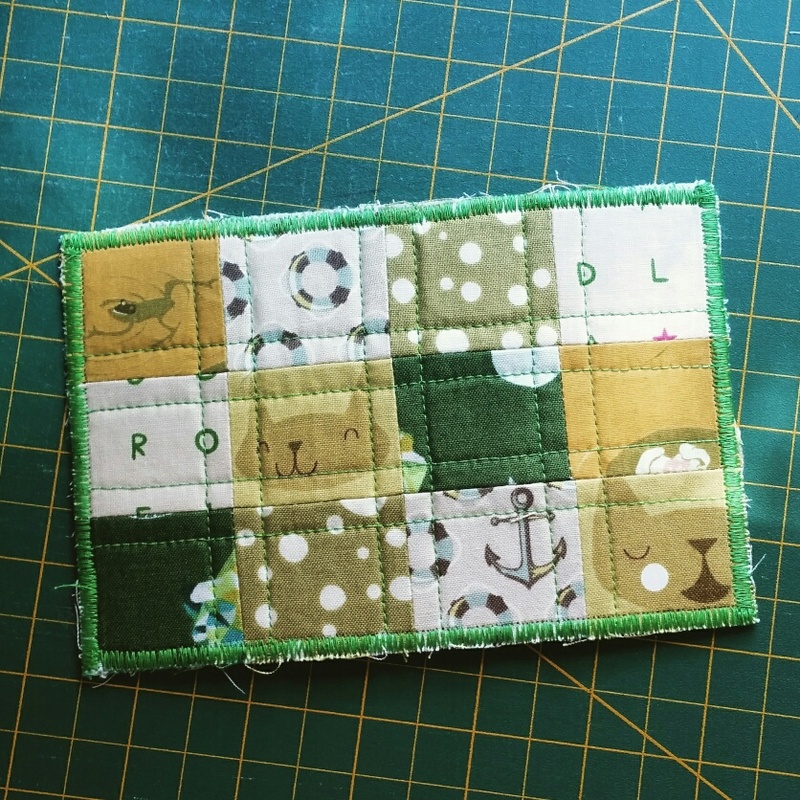 You have yourself a handmade, fabric postcard! Super easy, super adorable, and how amazing would it be to get one of these in the mail?!! 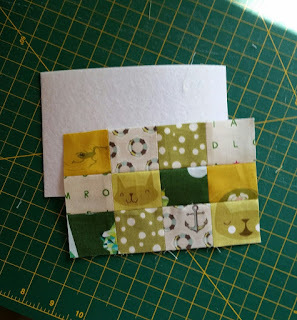 Monika also has a tutorial on her website on how to frame your postcards. Because they are, after all, little works of art. Do not use lace, or beads, or anything that hangs off or sticks out. 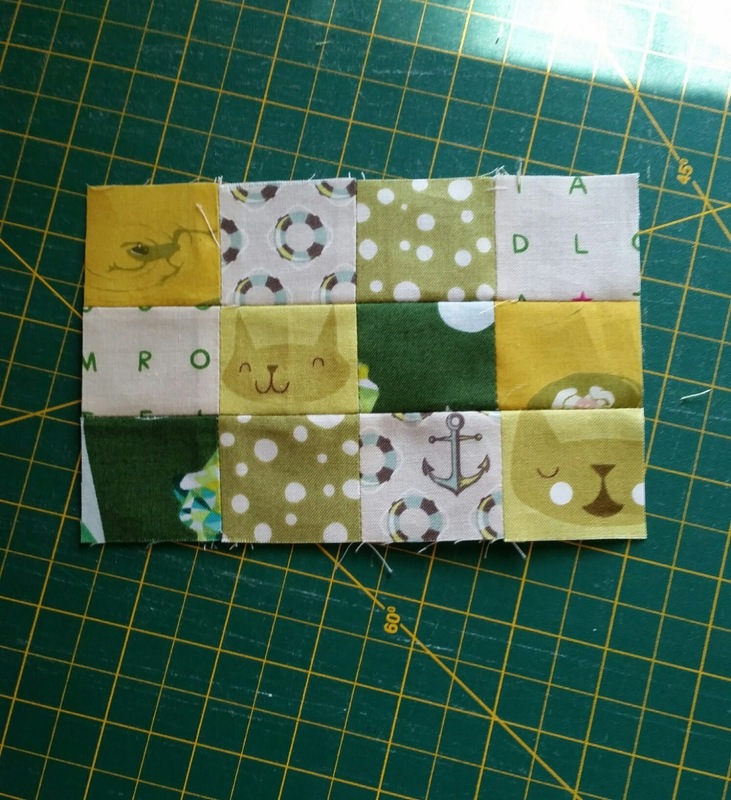 It can get stuck in the sorter and wreck your postcard. 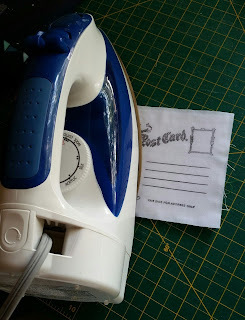 Use light thread in your bobbin to quilt the card. Use your imagination! The possibilities really are endless for fabric postcards. Use a sticker stamp when possible. They stay on better. Don't put it in an envelope to send! Put the stamp directly on the postcard and pop it in the mailbox!! Now go on, get making!!! And when you do start making these, post them with the hashtag #fabricpostcards and/or #snailmailrevolution so we can see them and be inspired! Absolutely love this! 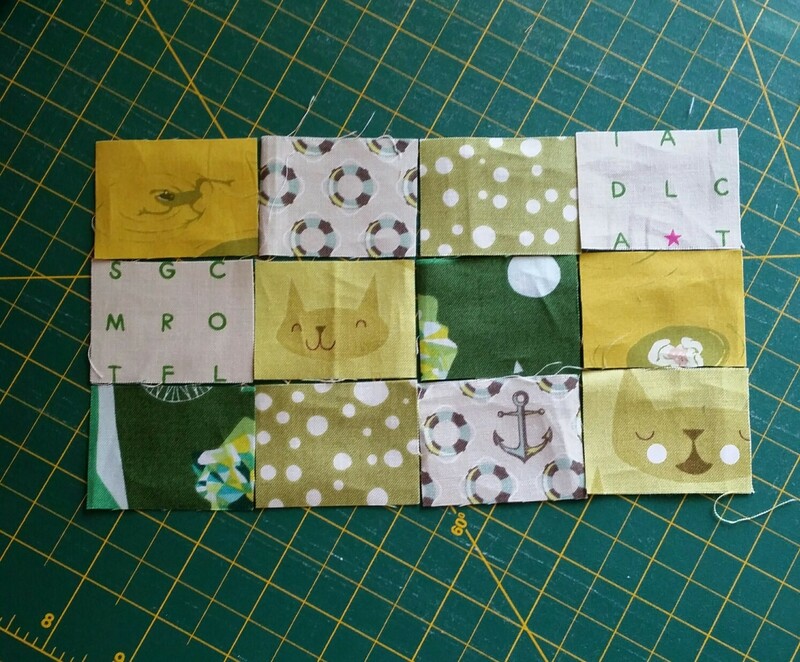 I'm still unpacking in my new flat, but once I get my machine set up this will be my first mini project!